As a World renowned Innovator and thought leader in the field of eye surgery, Dr. Gulani is highly sought after by local, national and international media for his expertise on numerous eye care issues. 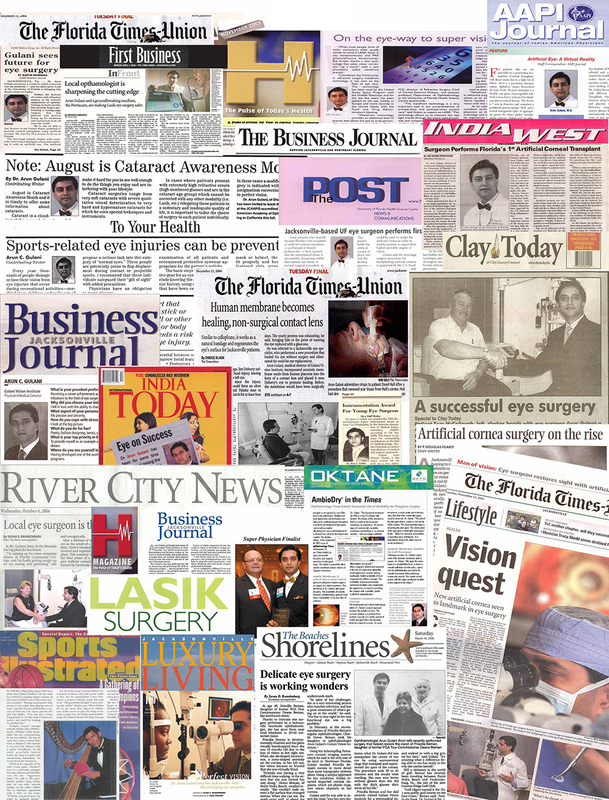 Dr. Gulani is featured in numerous television interviews, Newspapers, magazine articles, Online, Social and other news media sharing his insights and vision for the advancement of eye care and surgery globally. More examples of Gulani Vision Institute "In The News"